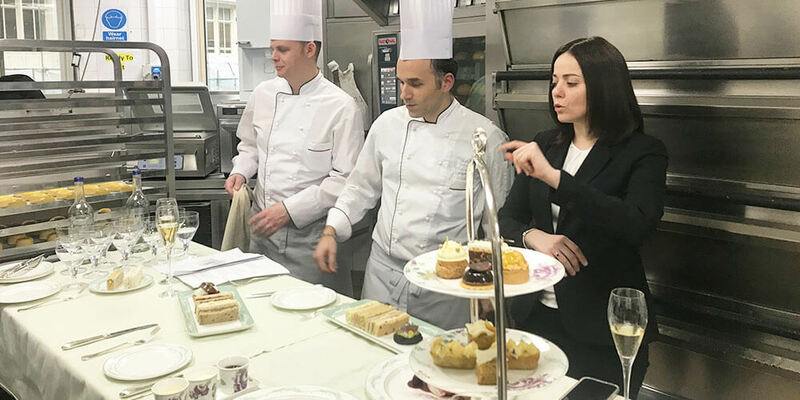 There are fewer traditions more British than Afternoon Tea, and The Savoy has been serving this enduring custom since first opening its doors almost 130 years ago (the custom of filling the gap between lunch and dinner with delicate sandwiches and dainty cakes dates back to 1840). 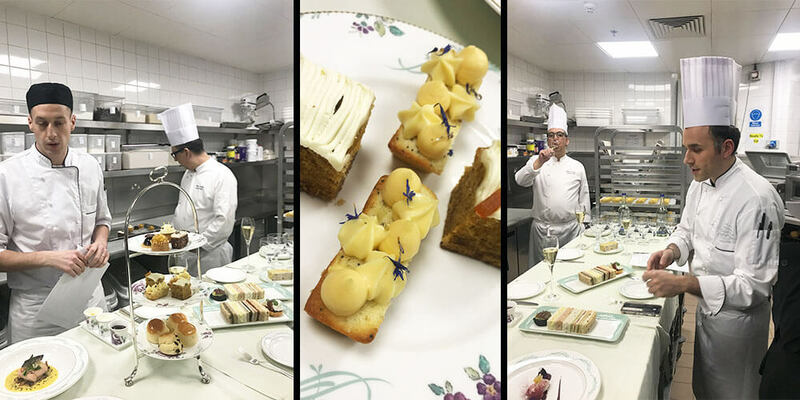 We’re proud to have one of the most famous Afternoon Tea offerings in town, and this week we launch our Winter Menu, created by the exceptional Savoy pastry team. ‘This menu reflects seasonality and focuses on combining textures’, says Francesco Coratella, who joined executive pastry chef, Daniel Pearse’s team just last month. ‘We’ve also played with reducing the sugar in our pastries as it’s that time of year when everyone wants something a little lighter and healthier’. Worry not though, this doesn’t mean compromise on taste and the pastries are as decadent as ever. Take the Pecan and Coffee Slice for example, a classic flavour combination showcased in a daquoise topped with a crunchy sponge, pecan layer, and creamy caramel crémant, entirely covered in chocolate and roasted nuts and finished with a coffee and mascarpone mousse, cold-infused with coffee bean for 24-hours. Daniel and Francesco insist that any menu creation is done collaboratively by the entire pastry team (there are 26 chefs and over ten different nationalities within the team), and there’s even initial brainstorming with the wider brigade of Savoy chefs from banqueting, bakery, Simpson’s, and Kaspar’s. Everyone has the chance to get involved and bring their ideas to the Afternoon Tea table. 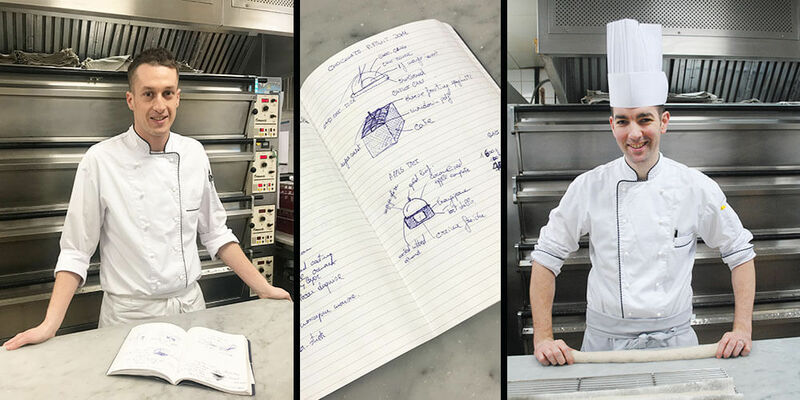 The meticulous process begins with the idea for flavour combination before the chefs takes to pad and paper to draw their vision of the pastries and develop them further. Desired texture informs the decision of what kind of pastry to use; choux, cake, mousse… . It’s then onto the recipe stage, followed by careful consideration of presentation. Even how the pastry will be served onto a guest’s plate has to be factored into the creation process. One thing they didn’t mention though… how many taste tests are required? Now that’s a part of the process we know everyone would like to be involved with.